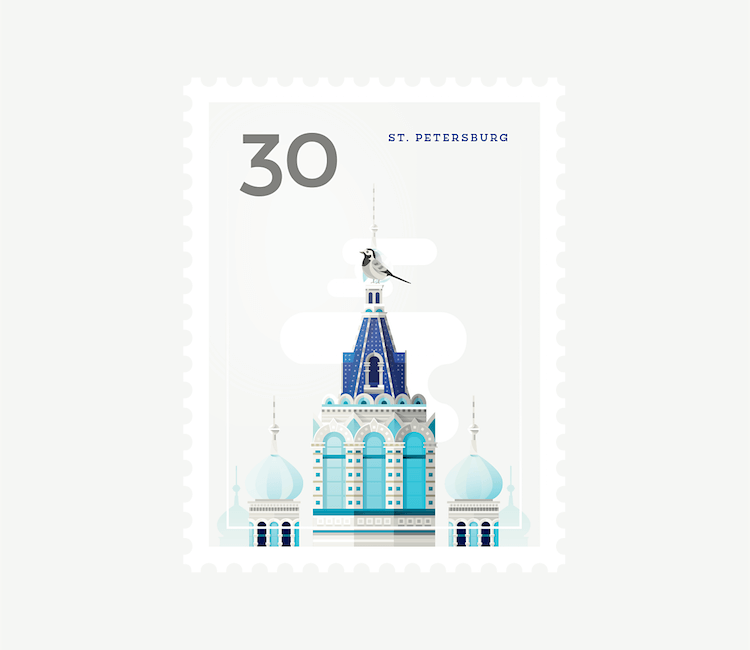 Adding clean lines, simple types, and bold colors, the stamps offer you an illustrated look at a selection of cultural sites. 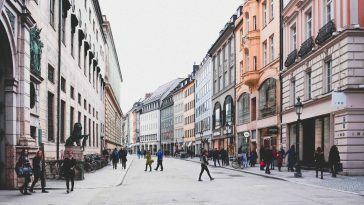 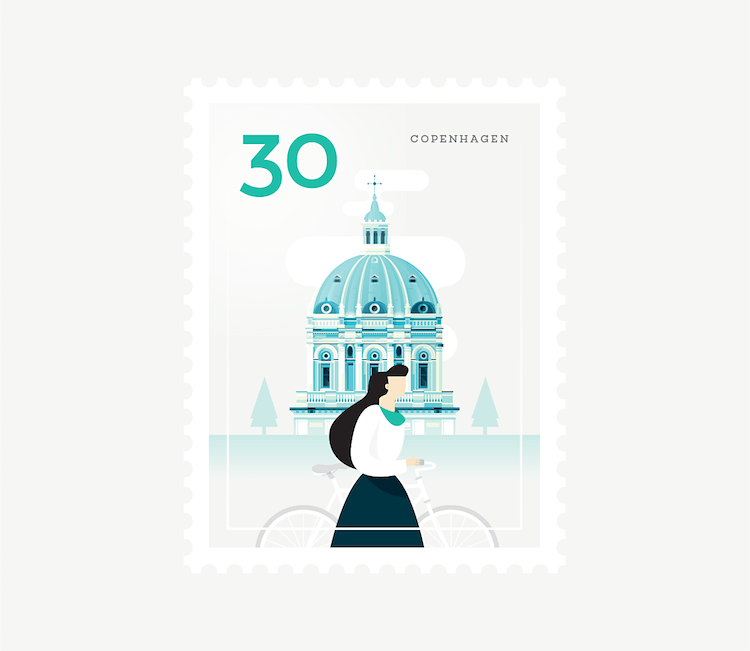 Each design includes an iconic landmark–such as New York City‘s Empire State Building and London’s Tower Bridge–or some other recognizable setting–such as a boulangerie at Paris or a comfy cottage in Reykjavík–in the chosen city. 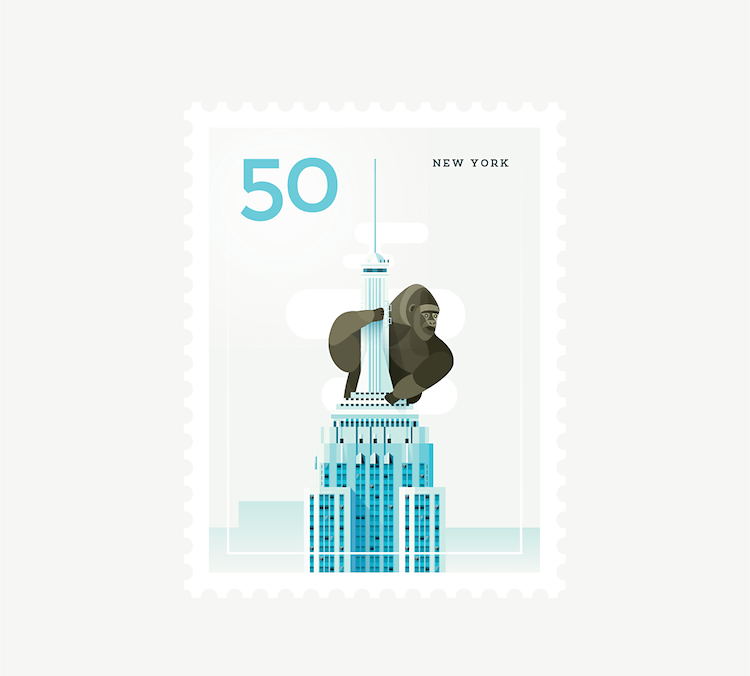 Besides this amusing scene, the stamps also comprise fitting and quirky characters, from King Kong to Mary Poppins. 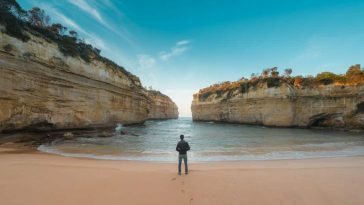 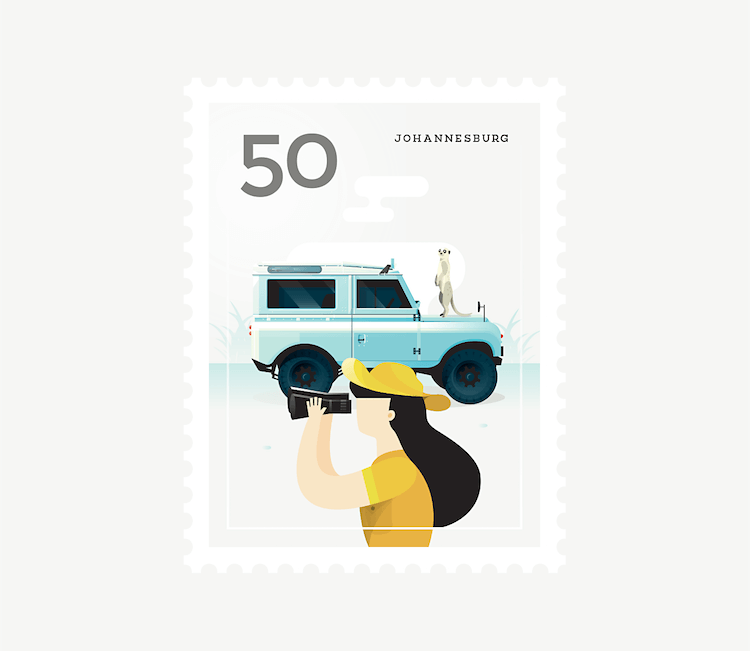 The artist poetically designates the illustrated show as “a set of cities I would like to go to, motivated by letters I will never ship.” This fitting description speaks not just to the artist‘s desire to travel, but in addition to her artistic imagination and vibrant creativity. 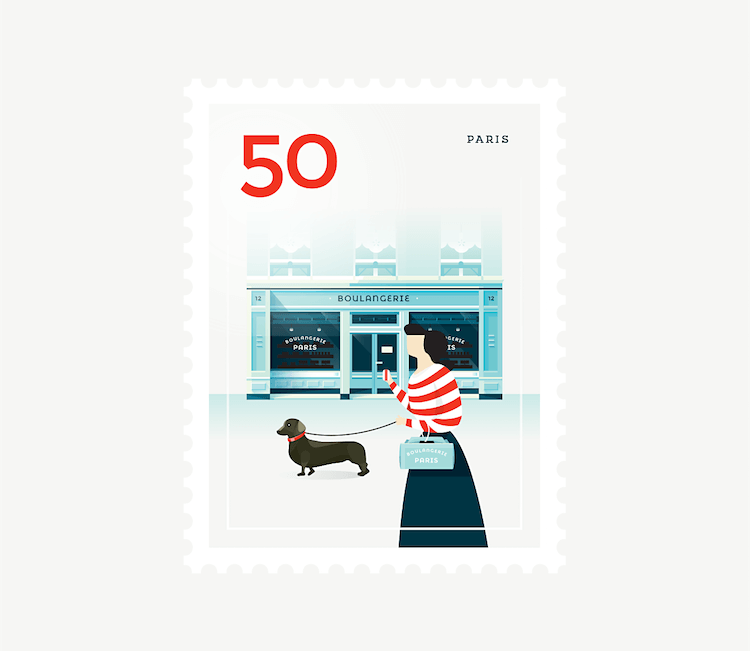 If you want to pick up your postage stamp poster, make sure you go to Winata’s store on Society 6. 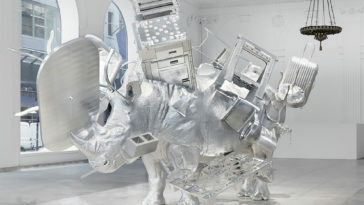 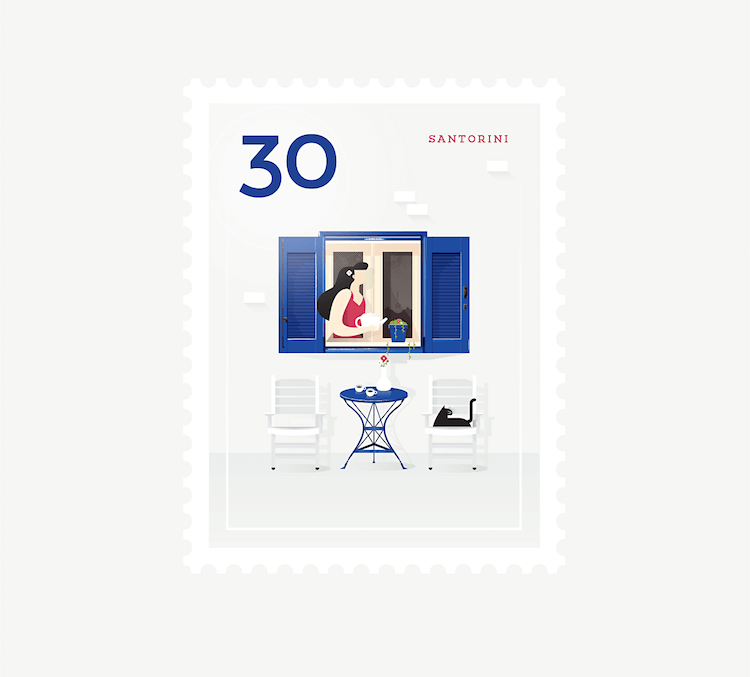 You could also check out more of her brilliant work on her site. 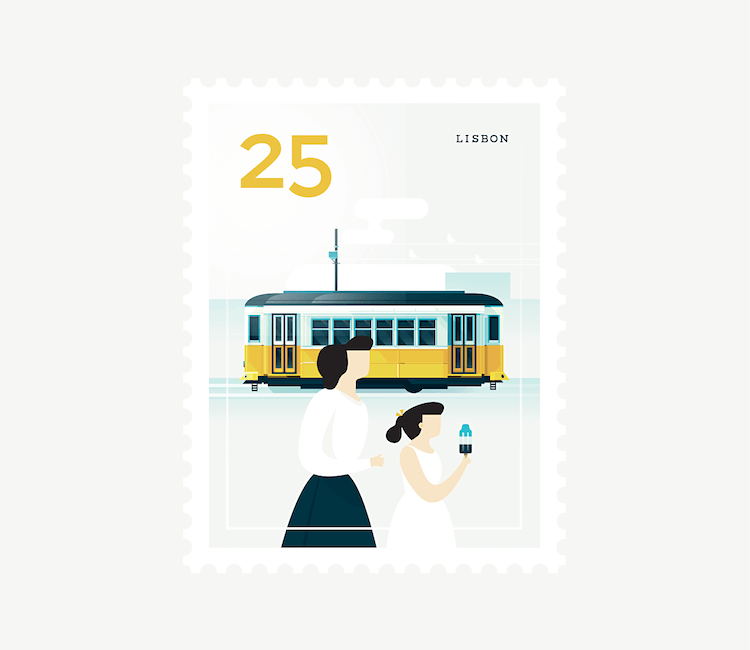 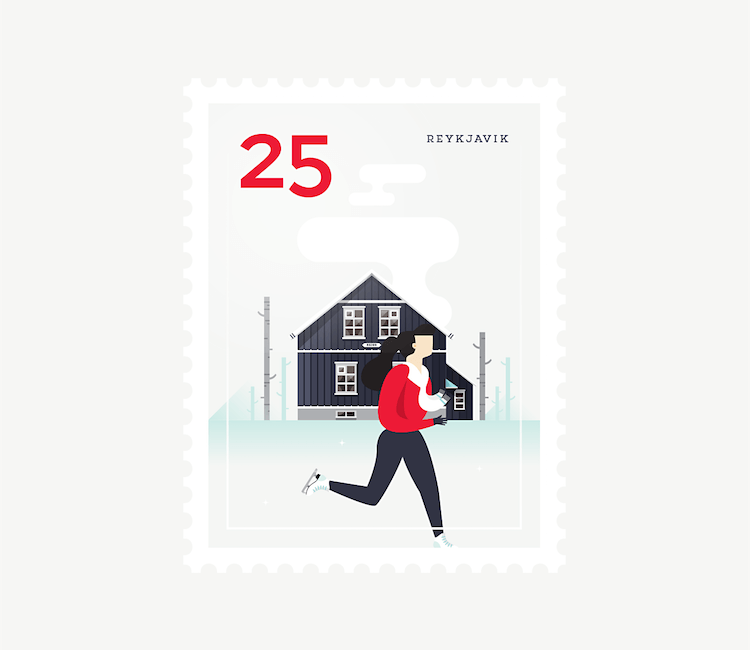 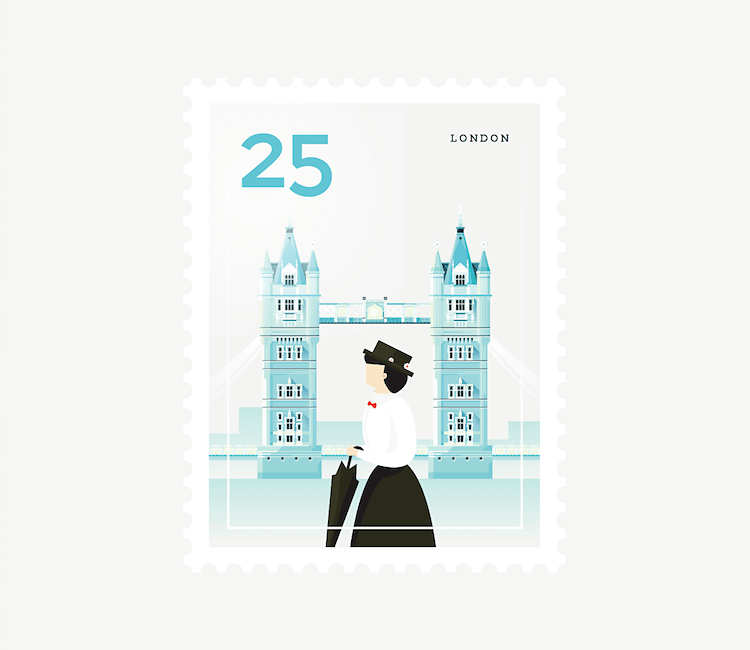 Designer and illustrator Elen Winata has made a selection of lively postage stamp posters inspired by cities across the world.